As we understood from the DSCA statement, Turkey’s request covers a single Patriot PAC-3 Configuration 3+ Integrated Air and Missile Defence System (IAMDS) to serve under Battalion (Squadron) structure. The PAC-3+ System will consist of 4 Patriot PAC-3 Fire Units, each with 5 Launchers and each Fire Unit will be able to operate autonomously. The Package includes 4 AN/MPQ-65 Radar Sets, 4 AN/MSQ-132 Engagement Control Stations, 10 Antenna Mast Groups (AMGs), 20 M903 Launching Stations (Launchers), 80 Patriot MIM-104E GEM-T missiles with canisters, 60 PAC-3 MSE missiles, 5 Electric Power Plants (EPP-IIIs), and other related elements such as communications equipment, tools and test equipment, range and test programs, support equipment, prime movers, generators, publications and technical documentation, training equipment, spare and repair parts, personnel training. If this procurement is realized Turkey will become the 18th customer of the Patriot System, the 14th customer of the Patriot PAC-3 System after the United States, Germany, UAE, South Korea, the Netherlands, Sweden, Japan, Qatar, Kuwait, Poland, Romania, Saudi Arabia, and Taiwan and 7th customer of the PAC-3 MSE missile (after USA, Sweden, Japan, Qatar, Poland and Romania). The PAC-3+ system uses a new software known as Post Deployment Build-8 (PDB-8). It is important that the current DSCA announcement does not incorporate Tactical Command Systems, Battery Command Posts and AN/USQ-140(V)(2)(c) (RT-1785) or AN/USQ-140(V)(11)(c) Multifunctional Information Distribution Systems/Low Volume Terminals (MIDS/LVT-2) for Link-16 data link capability that was included in 2009. In this case, each Patriot Fire Unit is planned to carry out their target detection, identification, tracking, and engagement process autonomously with their own AN/MPQ-65 Radar Set and Engagement Control Station independent of (since it is a NATO system, it will, of course, be connected to NATO, the national radar network RadNet and E-7T AEW&C Aircraft via data links) the Tactical Command System and Battery Command Post under the Patriot Battalion. If the ongoing negotiations between the authorities of the two countries have positive results, according to the procedures, first, the approval of the US Department of Defence subsequently the approval of the US Congress is required for the completion of the Patriot PAC-3+ Fire Units sale to Turkey. The Letter of Offer and Acceptance (LOA) is expected to be transmitted to Turkey following the approval of Congress within this year. The Turkish authorities will review the LOA and, if agreed, the intergovernmental LOA on sale will be signed between the authorities of the two countries. Following the approval of the Ministry of Foreign Affairs, a delegation consisting of representatives from the US Congress plus Raytheon and Lockheed Martin officials met with the delegation consisting of the Presidency of Defence Industries and the Ministry of Foreign Affairs officials on January 3, 2019, in Ankara. During the talks, the US administration is said to submit its offer to Turkey for sale of Patriot Air and Missile Defence System. The US Delegation made a second visit for the Patriot sale on January 15-16, 2019. A delegation from Turkey is expected to go to the United States in the last days of January. After the negotiations, it is speculated that the cost of the sale may decrease to around the US$2.5 Billion level. In fact, Turkey requested the Patriot PAC-3 system (PAC-3 Configuration III) from the United States before. However, since the PAC-3 MSE Missile was not exported at the time only the PAC-3 CRI (Cost Reduction Initiative) Missile was proposed. As part of the T-LoRAMiDS Project, pursuant to the Letter of Request issued by the Presidency of Defence Industries in April 2009, the DSCA formally notified the US Congress on September 9, 2009, in order to receive the necessary pre-approvals from the Congress regarding the PAC-3 systems sale to Turkey. The letter includes a possible Foreign Military Sale (FMS) to Turkey of 13 PATRIOT Fire Units, 72 PAC-3 CRI and 197 MIM-104E PAC-2 GEM-T Missiles (+18 missiles for training and testing purposes), 8 AN/USQ-140(V)(2)(c) (RT-1785) or AN/USQ-140(V)(11)(c) Link-16 MIDS/LVT-2s, 13 AN/MPQ-65 Radar Sets, 4 Tactical Command Systems, 13 Battery Command Posts, 6 Communication Relay Groups, 13 AN/MSQ-132 Engagement Control Stations, 48 M902 Launching Stations, 52 Antenna Mast Groups, 13 Electric Power Plants (EPP IIIs), 100 THALES 9310C Very High Frequency (VHF) Voice Radios, 150 THALES 9310C VHF Data Radios, and other related equipment with an estimated cost of US$7,8 Billion. However, at that time the letter was misinterpreted by the Turkish media and it was released to the Turkish public as if the agreement was signed and the sale was completed. Then both the then Turkish General Staff and the Prime Minister’s Office had to make a statement on this issue. Recep Tayyip ERDOĞAN, who was the Prime Minister at the time, stated that the project included 4 Batteries and the total cost would be US$1,3 Billion. When we look at the data included in the DSCA letter, it was seen that the proposed package would consist a total of 12 Fire Units, each with 4 Launchers and the Fire Units would serve within a total of 4 Patriot PAC-3 Batteries under a Battalion (Squadron) structure. In addition, a Patriot Fire Unit consisting of sub-systems such as AN/MPQ-65 Radar Set, Battery Command Center and Electric Power Plant was planned to be used for training purposes. Under the T-LoRAMiDS Project, the value of the Best and Final Offer (BAFO) submitted by the Raytheon and Lockheed Martin companies from the United States to the SSB for the Patriot PAC-3 Configuration III System, consisting of 12 Batteries and PAC-2 GEM-T/PAC-3 CRI Missiles, was announced as US$4.6 Billion at the time. Sweden became the latest customer of the PAC-3 Configuration 3+ Air and Missile Defence System by signing the Letter of Offer and Acceptance (LOA) transmitted by the US Government for sale on 10 August 2018. Sweden will buy 4 PAC-3 Configuration 3+ Fire Units consisting of 3 M903 Launching Stations, 4 AN/MPQ-65 Radar Sets, 4 AN/MSQ-132 Engagement Control Stations, 9 Antenna Mast Groups, 100 MIM-104E GEM-T Missiles, 200 PAC-3 MSE Missiles and 4 Electric Power Plant IIIs, with an estimated cost of US$1,14 Billion (EUR950 Million, DSCA statement dated February 20, 2018, announced an estimated cost of US$3,2 Billion). 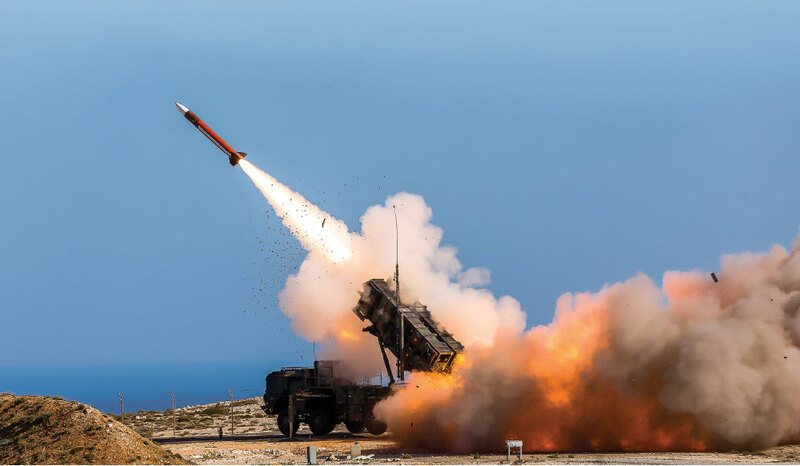 With this order, Sweden became the 17th customer of the Patriot System, the 13th of the PAC-3 System and the 6th customer of the PAC-3 MSE missile. The US Department of Defence signed a US$692,9 Million contract with Raytheon in December 2018 for the procurement of the Patriot Fire Units and GEM-T Missiles to be delivered under Sweden’s Patriot PAC-3 + order. A single Patriot Battery consists of; AN/MPQ-65 Radar Set (fixed antenna) with a range of 180km and capable of tracking 100 targets and guiding 9 missiles simultaneously in addition to performing tasks such as Target Search, Detection, Tracking, and Identification, and Missile Tracking, Guidance, and ECCM single-handedly, AN/MSQ-104 Engagement Control Station, OE-349 Antenna Mast Group (AMG, 4 4kW antennas erectable up to 100ft), EPP-III Electric Power Plant (consists of two 150kW, 400-hertz diesel engines), M901/902/903 Launching Stations (Remote-controlled, can carry up to 4 PAC-2 series, 16 PAC-3 CRIs, 12 PAC-3 MSE Missiles or 6 MSEs plus 8 CRIs or 2 GEM-T plus 6 MSEs [or 8 CRIs] in mixed configuration), M983 HEMTT Trucks (to transport Radar Set and Launchers mounted on M860 semi-trailer), M985 Trucks (to carry and reload the spare missiles with a crane mounted behind the cab), and PAC-2 GEM/T, PAC-3 Baseline, CRI and PAC-3 MSE Missiles. G/H Band AN/MPQ-65 PESA (Passive Electronically Scanned Array) radar scans a 90° sector in target detection mode, and scans a total of 120° sector as 60° to the right and left in target tracking mode. The M902/903 Launching Stations can be deployed up to 30km (up to 10km in previous versions) from the Engagement Control Station in the PAC-3 Configuration 3 and 3+ Systems. In the US Army configuration, each Patriot Battery consists of 70 to 90 soldiers and a Patriot Battalion consists of 600 soldiers. The US Army is planning to keep the Patriot Systems in service until 2048. Each PAC-3 Battery costs approximately US$500 Million with a unit cost of US$3,43 Million for a single PAC-3 CRI Missile. The unit cost of a PAC-3 MSE Missile ranges from US$5,7 to US$8 Million. The allocated budget for the Patriot Missile System was stated as US$809 Million for 169 PAC-3 MSE Missiles (unit cost US$4,7 Million) in 2017 Fiscal Year (FY 2017), US$1,106 Billion for 240 MSE Missiles (unit cost US$4,6 Million) in FY 2018, and US$1,131.3 Billion for 240 MSE Missiles (unit cost US$4,713 Million) in FY 2019 by the United States Government. The number of PAC-3 MSE Missiles will be increased to 350 in FY 2020. US Army sold 100 PAC-2 GEM-T Missiles in its inventory to the UAE for US$363 Million in order to purchase an additional 100 PAC-3 MSE Missiles. Also, South Korea will pay US$501 Million for the procurement of 64 PAC-3 MSE Missiles and 2 MSE Test Missiles under the FMS project approved by the US Department of Defence in September 2018. In the offer submitted to Poland, the unit cost of the PAC-3 MSE Missile was announced US$8 Million, it is stated that Poland’s offset requirements increased the cost of the system. Signing the Letter of Offer and Acceptance (LOA) on March 28, 2018, Poland, under the US$4,75 Billion WISLA Phase I contact will procure 2 PAC-3+ Batteries each consisting of 2 Fire Units, 4 AN/MPQ-65 Radar Sets, 4 Engagement Control Stations, 208 PAC-3 MSE Missiles (+11 test missiles) and 16 M903 Launching Stations. The command control of the Polish PAC-3+ Firing Units capable of performing autonomous tasks will be carried out through the Northrop Grumman’s Integrated Air and Missile Defence Battle Command System (IBCS). Since each battery will have 8 M903 Launching Stations loaded with 12 PAC-3 MSE Missiles, the number of ready-to-fire PAC-3 MSE missiles per battery will be 96. Poland plans to procure an additional 6 Next Generation PAC-3 Systems (capable of 360 coverage with New Radar Unit and SkyCeptor Missile [a U.S. complaint variant of the Stunner hit-to-kill missile in IDF service since 2016]) under WISLA Phase II Agreement. The total Project cost is still estimated to be US$10,05 Billion. According to US Army data, the annual operating and maintenance cost of each Patriot Battalion is between US$49 Million and US$54 Million. A Patriot Battery can move into position and be ready-to-fire in approximately 45 minutes. In US Army Patriot PAC-3 Batteries consisting of Eight Launchers (M901/902 and M903 Launch Stations); PAC-3 MSE, MIM-104F PAC-3 (Baseline version and CRI), MIM-104E PAC-2 GEM-T or MIM-104D PAC-2 GEM (US Army upgraded PAC-2 GEM missiles to GEM-T level) missiles are used in a mixed configuration. Single-stage, solid-propellant PAC-3 Missile (Basic version and CRI) with a length of 5.08m, a diameter of 25cm, a wingspan of 51cm and a total weight of 318kg (when the internal solid-propellant weighing 160kg is burned out, the weight of the missile is reduced to approximately 136kg before hitting the target) is equipped with a Boeing product Ka-Band millimeter-wave active radar seeker. The MIM-104F PAC-3 Missile, developed by Lockheed Martin, flies via inertial guidance (Inertial Measurement Unit/IMU) to an intercept point specified prior to launch by its ground-based Fire Solution Computer which is embedded in the Engagement Control Station. The missile receives mid-course correction information from the Engagement Control Station via the data link (RF uplink/downlink). Shortly before the arrival of intercept point, the active radar seeker acquires the target and select an optimal aim point. During this process called Terminal Guidance Phase, the PAC-3 Missile uses aerodynamic controls and 180 solid-propellant small rocket motors (Altitude Control Motors/ACMs) located in the missile forebody to refine its course and destroys its target with a body-to-body contact known as hit-to-kill. The PAC-3 Missile doesn’t carry a warhead, however, to further enhance the lethality of the PAC-3 missile on the target, a mechanism called Lethality Enhancer was installed in the Mid Section Assembly of the missile with an explosive (24 low-speed steel fragments in a radial direction) weighing 8,2kg (18 pounds). The Lethality Enhancer can also be used as a self-destruct mechanism for any remaining PAC-3 missiles following the destruction of the targets or if a missile deviates from the specified flight course to prevent any damage to the friendly elements. According to NATO sources, the PAC-3 missile, which can reach five times the speed of sound (Mach 5+), has a maximum interception range of 25km against ballistic missiles (TBM and SRBM type) targets, 60km against air-breathing targets, and a maximum interception altitude of 20km. In order to ensure the highest probability of kill, two PAC-3 Missiles are launched against a single TBM/SRBM target at a 4.2-second interval. The Former Turkish Minister of National Defence İsmet YILMAZ, during a briefing at Grand National Assembly of Turkey on February 6, 2013, shared that the PAC-3 Missile has a range of 36km against Missiles and 65km against Aircraft and the PAC-2 Missile has a range of 20km against Missiles and 120km against Aircraft. 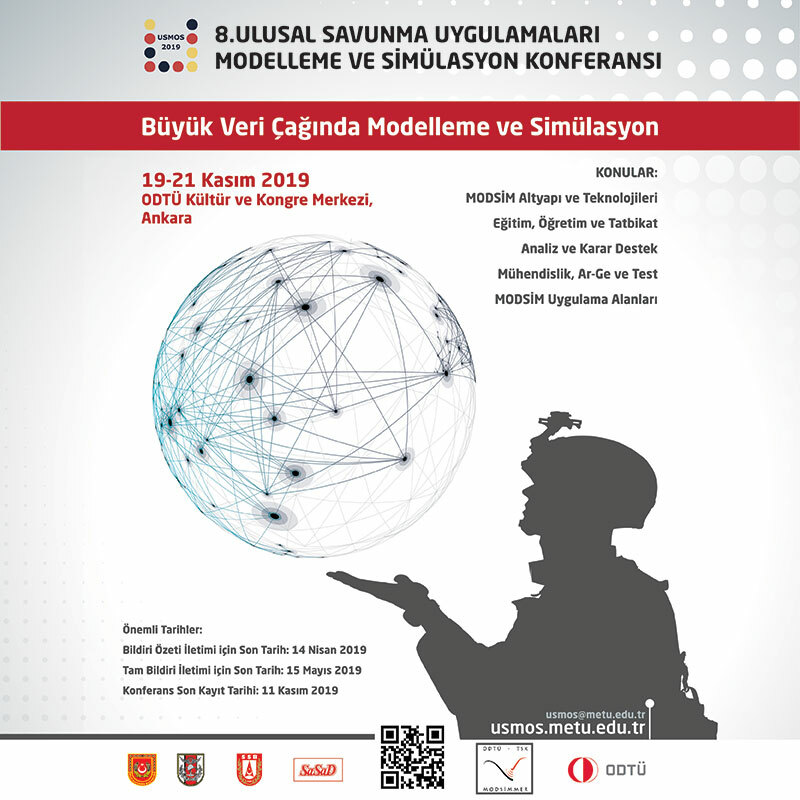 Considering the US Government approved sharing of technical information (Includes MSE performance and configuration information) on the PAC-3 MSE Missile with 16 friendly and allied countries including Turkey in June 2013, I believe the information shared by Minister YILMAZ was about the PAC-3 CRI missile. Open sources also indicate that the PAC-3 MSE Missile selected for the MEADS System has +15km greater range and 50% higher interception altitude than the PAC-3 CRI Missile. On the official website of the Dutch Ministry of Defence, it is stated that the PAC-3 CRI Missile has an interception ceiling of 20km and a range of 60km. The contract for the development of the PAC-3 MSE version, the newest member of the PAC-3 Missile Family, was signed in June 2003, and the US$944 Million contract for the Mass Production of the Missile was signed in June 2018. The PAC-3 MSE Missile is a more agile and lethal interceptor than its predecessor CRI version and it has a higher engagement performance in a wider area against ballistic and cruise missile threats compared to the CRI version thanks to its dual-pulse solid-propellant rocket motor (more powerful and larger than the solid-propellant motor in CRI), larger control fins, upgraded actuators, thermal batteries and guidance software. NATO has been augmenting Turkey’s air and missile defence capabilities since January 2013 under Operation Active Fence. In response to Turkey’s request, NATO Foreign Ministers decided on 4 December 2012 that NATO would augment Turkey’s air and missile defence capabilities in order to defend the population and territory of Turkey against threats posed by missiles from across its border with Syria. Since January 2013, five Allies have contributed missile batteries under the NATO’s Operation Active Fence to augment Turkey’s air and missile defence: Germany, Italy, Spain, the Netherlands and the United States. Currently; one Patriot PAC-2 GEM-T Battery from the Spanish Army (73rd and 74th Anti-Aircraft Artillery Regiments with 6 Launchers, AN/MPQ-53 Radar Set, and around 150 personnel) deployed at the Incirlik Air Base in Adana and one SAMP/T Battery (with two Firing Units) from the Italian Army deployed in Kahramanmaraş are operational. 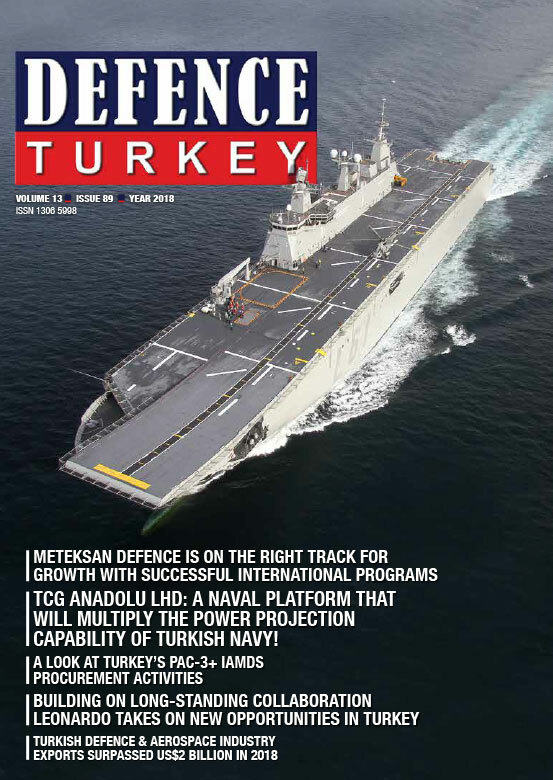 They are under NATO command and plugged into NATO’s air and missile defence system network, which also includes an early warning system based in Ramstein (Germany) and the AN/AP-2 early warning radar deployed in Kürecik, Malatya. The deployment period of the Spanish Patriot Battery (the new Patriot contingent AT-IX took over responsibility for securing Turkish skies for the next 6 months on January 19, 2019 and will be replaced with the next contingent AT-X in June), which became operational in January 2015, has been extended for a further period of time and according to the current schedule, it will continue to serve in 6-month rotations until 31 December 2019. Two ASTER-30 SAMP/T Firing Units from the 4th Air Defence Artillery Regiment of the Italian Army stationed at Gazi Barracks in Kahramanmaras since June 2016. Their deployment period is expected to continue until the end of 2019. With the PAC-3+ IAMDS procurement from the United States (If the contract is signed this year, the delivery of the system is expected to take place between 2020-2025), Turkey’s dependence on NATO Allies in this regard will disappear. The PAC-3+ Firing Units to be supplied from the USA shall take over the responsibility of securing Turkish skies against potential TBM/SRBM threats from PAC-2 GEM-T and SAMP/T Batteries operating in Kahramanmaraş and İncirlik. Within the scope of the S-400 Triumph (NATO code named SA-21 Growler) Air and Missile Defence System Procurement Project that was launched by Presidency of Defence Industries (SSB) upon the negotiations held between Russian President Vladimir PUTIN and President of the Republic of Turkey Recep Tayyip ERDOĞAN in Istanbul as part of PUTIN’s official visit to Turkey, in July 2017 the CEO of RosoboronExport Company Alexander MIKHEEV noted that the understanding was reached with Turkey on the S-400 contract, in August 2017 the contract on the sale of S-400 systems to Turkey was signed and on 12 September 2017, President ERDOĞAN declared that the down payment required for the procurement of the S-400 Systems has been made. At the end of negotiations Turkey finalized a credit deal with Russia to purchase the 4th Generation S-400 Triumph Air and Missile Defence Systems. The deal was signed by Ankara on 29 December 2017. The US$2,5 Billion deal covers the purchase of two S-400 Triumph Systems with four Batteries. Instead of U.S. Dollars, Turkey borrowed the loan in the Russian currency (Rubles). According to President ERDOĞAN, with purchasing on ruble, Turkey will save up to 3% of the total debt. In April 2018 following the ERDOĞAN and PUTIN meeting in Ankara, Turkey the delivery of the S-400 Batteries had been brought forward from the first quarter of 2020 to July 2019. According to the Russian sources, the 4+ Generation S-400 Triumph System Batteries to be procured for the TurAF within the scope, valued at US$2,5 Billion, the S-400 Triumph (SA-21 Growler) Air and Missile Defence System Procurement Project will have 9 Launch Vehicles/TELs and the two TurAF S-400 Systems/Battalions will be composed of a total of 36 TELs. According news published at Turkish media agencies on 4 January 2018, the S-400 Systems/Battalions and Batteries will be formed under the title of the S-400 Regiment Command. According to this news, the S-400 Regiment Command will have two S-400 Battalions/Systems and each Battalions will have 2 Squadrons/Batteries. As every Squadron/Battery will have 9 Launch Vehicles, there will be a total of 36 Launch Vehicles/TELs in 4 Squadrons/Batteries service. Thus, the TurAF S-400 Regiment Command (main headquarters is expected to be established at Murted/Akıncı Airport Base Command in Ankara) will be able to simultaneously engage up to 72 different targets with 144 missiles within 400km range (thanks to the 40N6E missiles). Within the scope of the air engagement doctrine, two missiles are launched in order to secure 100% destruction of every target.